We begin a year of renewal with new presidents and officers in District 7910 and throughout the Rotary world. 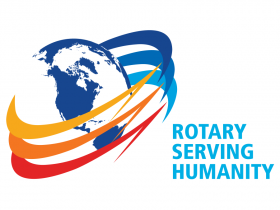 Revitalization, new energy, new ideas and a zeal to improve our clubs surges through Rotary. Now we need to transmit those ideas and intentions into action. This is a real, exciting challenge for the new presidents. One of the difficult challenges is the renewal of clubs through the addition of new members. While the basics of membership are well known to most Rotarians, there remains considerable inertia with many clubs in implementing an effective effort. Rotary International leadership has proudly described an increase in total membership of 30,000 during this past year. However, we remain stagnant at the 360,000 level in the USA - a significant drop in the past 20 years. There should be a general agreement about the need for new members. We need to replace attrition, we want to enhance and protect the long-term viability of Rotary, we want to improve our ability to do more good for our communities and the world, we want to spread the workload around, we want to create more leadership, fellowship and networking opportunities, and we want new ideas, technology and energy in our clubs. So let us stipulate there is a need and that we recognize and accept the need. Now what will we do this year? The new presidents are urged to put the question to their clubs at the earliest opportunity and to keep the issue of membership front-and-center as the key issue of the year. The new presidents need to ensure the appointment of a membership chair and an action-oriented committee. The new presidents need to gain a consensus of their membership about the issues surrounding the addition of new members – how many, over what time period, the types of new members. Everyone has differing ideas about these issues and the only way to expose them is to talk about them at assembly meetings. New members represent change and most folks resist change. A good place to start is to analyze your current membership and identify what your clubs need in terms of classifications. Simply adding members without regard for your specific needs and wants is not ideal. Clubs also need to think about what they will have new members engaged in. What do you want to achieve in the future and how will new members fit into that plan? Your calendar of projects and events has to expand to accommodate the increase and diversity of new members. After you get your club geared up to begin its membership initiative, then it is time to start the hard work – the development of a target list of prospective candidates. This is a task requiring all the members' creativity and ideas relying on myriad sources of names in your community. Now you can begin the task of contacting, inviting and vetting prospective members to your club events and meetings. Tom Sturiale, vice chair of District 7910's Membership Committee, may be reached at tsturiale36@gmail.com.